I slept most of the day….it was glorious! But I will show you a funny picture from my weekend with my mom. Stasia and I were hanging out with my mom in a store while she shopped. 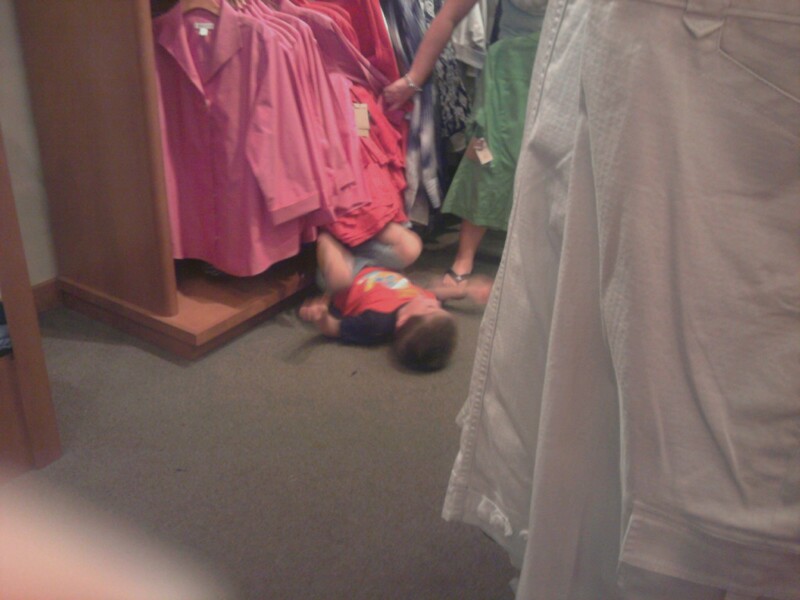 And we saw a little kid having some fun with his mom and the other shoppers!